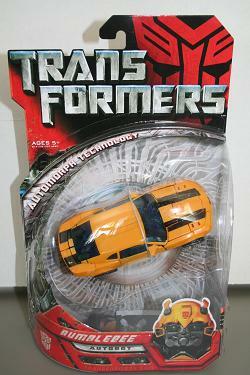 A figure which is proving to be one of the most difficult to obtain, and which also has the highest eBay scalper price (these two are related, but which came first one wonders...) is the '08 Concept Camaro Bumblebee. I have only seen this figure once on my local shelves, and was fortunate enough to snag it that day. As with other figures in the series, this character has the same tech stats as his other version, but Hasbro has put together a different 'bio' entry to keep things interesting. An interesting eBay Watch for today is a Bandai version of the Power On Energizer from the Captain Power line of toys. Harkening from the correct year of 1987, this is an item I've never seen before, and while expensive, we all know that the Preserve is mighty tempted to dip into those waters.